The first ever three dimensional (3D) animation movie in Sri Lanka, using motion capture technology, is planned to be released under the title of ‘Gajaman’. ‘Gajaman’ as known by many in the seventies decade, is a famous and influential cartoon character brought to life by Camillus Perera. ‘Gajaman’ will be joined by an array of Perera’s most vibrant cartoon characters of that time to bring this movie to theatres around the country. 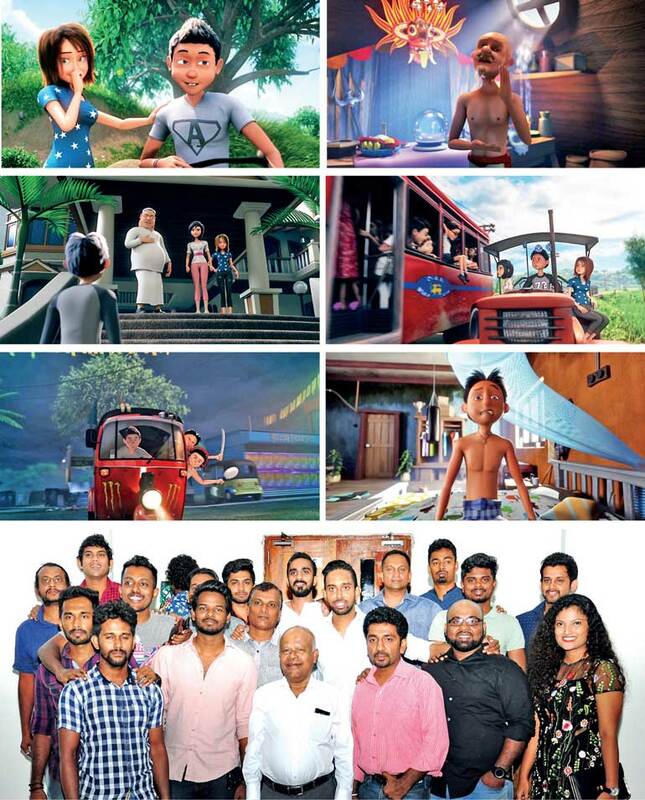 The animated movie is directed by Chanaka Perera, who is a professional 3D animator involved in the information technology and advertising industries. He is a product of St. Peter’s College and later obtained his degree in multimedia from Swinburne University, Australia. The movie trailer was recently released at a press conference held at the National Cinematic Corporation theatre, marking a significant milestone in the country’s as well and the industry’s history. ‘Gajaman’ is a household name which had an immense impact on society through his expressive nature as a newspaper cartoon and is now brought closer to the hearts of his fans using the unique ‘motion capture’ technology which is also used in similar movies of Hollywood such as ‘Avatar’ by James Cameron and ‘Tin Tin’ by Steven Spielberg. The underlying concept of ‘motion capture’ is to direct the movements of the animated characters by capturing movements of real actors, through various modes of sensory equipment and software, giving them the most unique and realistic movements on screen. The cast for motion capture stars Dasun Pathirana, Chamara Priyadarshana, Kasuni, Pradeep, Tiran and Sharada. The voice-over for Gajaman’s two lead roles are voiced by the most influential local comedians of this era ‘Chooty Malli’ and ‘Podi Malli’ played by Suneth Chitrananda and Gaminda Priyaviraj, who also wrote the exciting script and storyline for the movie. Rashi Prabodha, Yureni Noshika and Sunil Perera also star as key characters of the movie. The movie is produced by ‘Studio 101’ and is estimated to have cost of over 75 million rupees since its production.